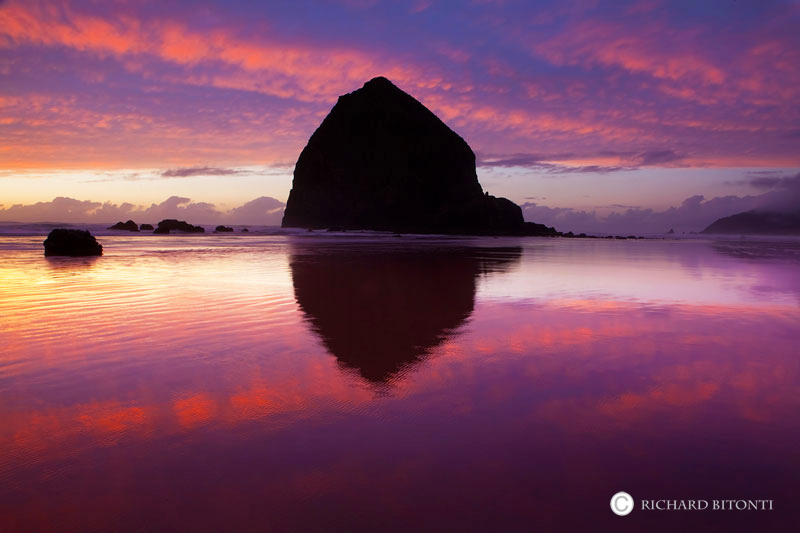 A firey sunset reflects off the smooth, wet sand of Cannon Beach situated along the northern Oregon coast. Cannon Beach is recognized by its well-known landmark, Haystack Rock, located just south of downtown Cannon Beach. Photo © copyright by Richard Bitonti.